As a Model Validator, you will be responsible for validating various complex financial and actuarial models to assist Aegon in fulfilling its commitment of a lifetime of financial security for our customers and other stakeholders. You will be working in a dynamic organization where innovation is a key requirement. Together with the rest of the Model validation and Model Risk Management (MV & MRM) team, you will be responsible for weighing up and prioritizing the needs of various stakeholders. You will report to an inspiring manager who will further develop your modelling expertise. 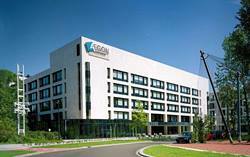 You will work closely with the Model Validation team of both Aegon Netherlands and Aegon Group. The team is part of the Global Model Validation group, which means a lot of knowledge transfer and best practice traits. Occasionally there will be an opportunity of exchanging Model Validators between different entities and/or countries. Validating complex financial, mathematical and actuarial models used for a range of purposes, such as Solvency II, pricing, hedging and valuation. Assuring and maintaining high quality of model validations and proactively monitoring outstanding gaps. Establishing and maintaining good working relations with model owners and other stakeholders. Having an active role in and reporting key findings to the Model Validation Committee and other management and providing recommendations and technical expertise. strengthen the further implementation of the Aegon Group Model Validation framework at Aegon NL. You enjoy being challenged with complex issues and models. You have a track-record of structuring and keeping and overview over a complex domain, and you are equally comfortable stimulating group cooperation and working independently. You are fluent in communicating in English. A Master’s or PhD degree in the field of quantitative finance, econometrics, physics, etc. 3- 6 years of relevant experience within quantitative (validation) modelling (experience with modelling (validation) of pension and life insurance liabilities is a positive). Experience in actuarial science is of added value. Experience with Solvency II is of added value. Knowledge of model validation and model risk management within a financial institution is a plus. Ability to gather, research, compare and analyze complex data models and develop clear logical interpretation and application. Maintains a positive and professional attitude. Adjusting one’s behavior to new information or changing circumstances. Does this role appeal to you? We then look forward to receiving your cv and motivation via our application form on this website. An online assessment is part of the selection process. Please send your application for Model Validator at AEGON in The Hague including your CV via our website. For more information about the application procedure you can contact Dave Heilbron, Sr. 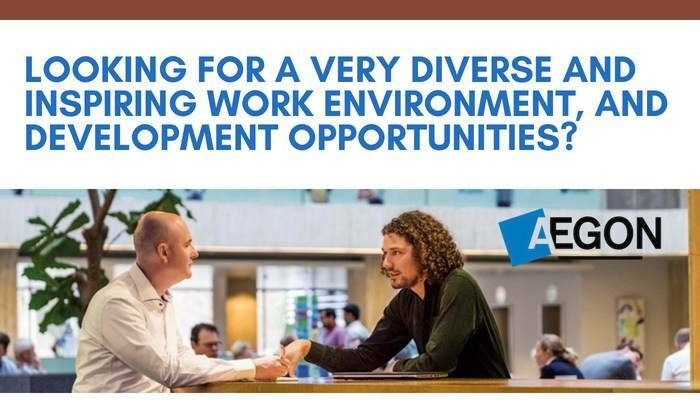 Talent Acquisition Manager dave.heilbron@aegon.nl or +31 (0)6 83 25 44 97 or Justin Heydenrijk, Head of Model Validation Manager Justin.heydenrijk@aegon.nl.